From August through May, Upward Bound participants are provided support services to develop the total person and to encourage academic progress and improvement. Read more about our services below. Tutoring is offered during the week at IUPUI. Tutoring sessions are for the purposes of improving students’ GPAs, preparing for the End-of-Course Assessment, getting ready for the SAT/ACT, and enhancing study skills. During the academic year: Tutoring is available every Tuesday at IUPUI in Taylor Hall, 4:30–7:00 p.m. We hold Super Tuesday twice a month, which includes food and a presentation on study skills. 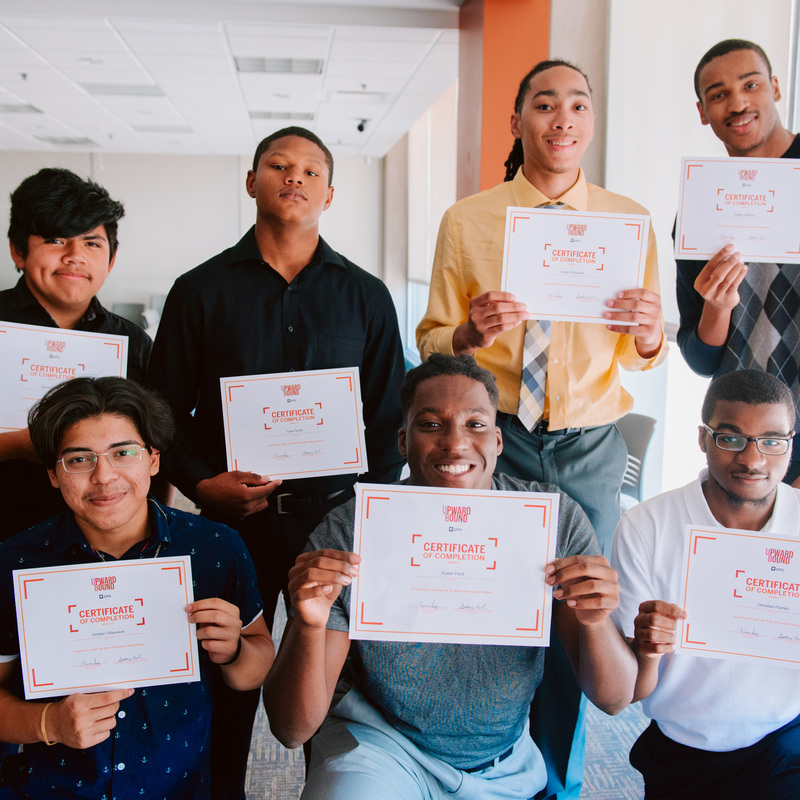 Programming is offered to support and to augment high school instruction as well as to provide opportunities for career exploration and the development of success skills. During the summer, participants are offered the opportunity to live the college experience. Students take academic classes and live in residential housing on the IUPUI campus. Summer Academy exposes participants not only to challenges and fun but also offers students the chance to gain a sense of independence, improve social interaction skills, and most importantly, lessen the anxiety of their future college experience. Arsenal Technical High School's mission is to provide a learning environment where integrity, technology skills, and academic excellence prevail. Warren Central High School/Walker Career Center prepares all students to become responsible citizens and lifelong learners in a diverse society. Emmerich Manual's students, staff, and community offer a sense of purpose, tradition, pride, and achievement through lifelong learning, character development, and culture of excellence.